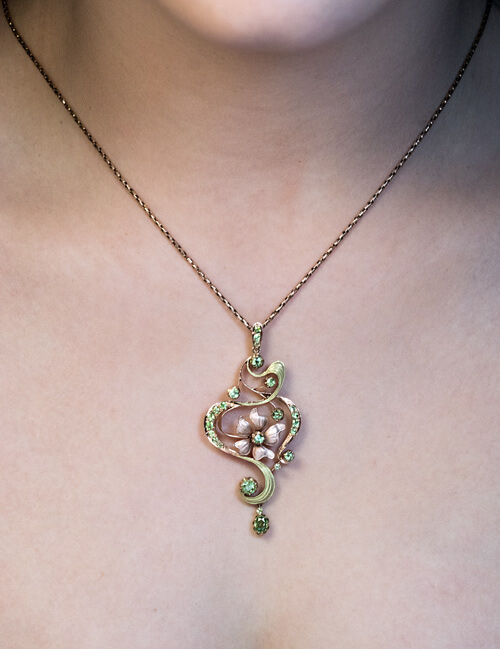 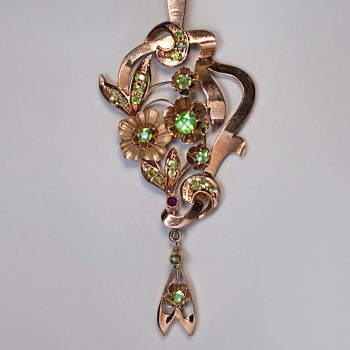 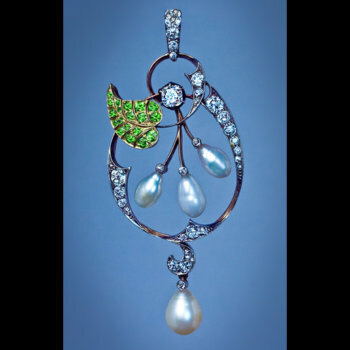 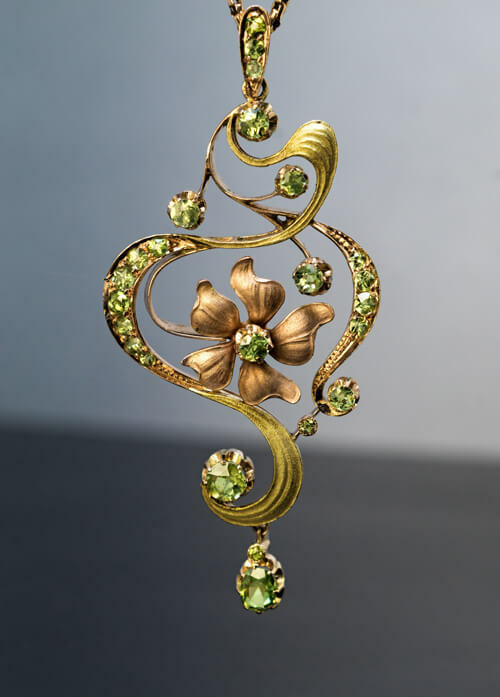 An antique 14K rose and green gold pendant is designed in Art Nouveau taste as a stylized flower. 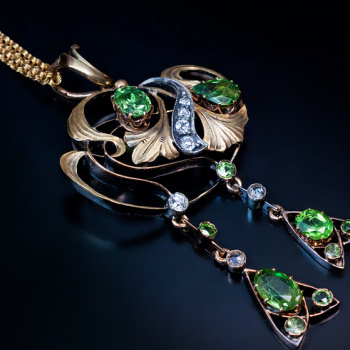 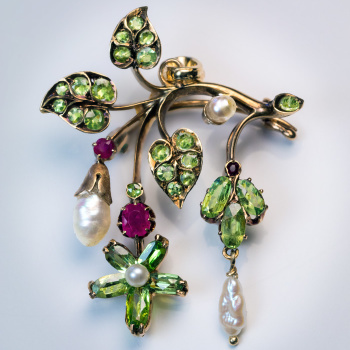 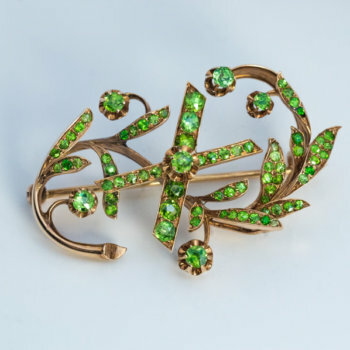 The pendant is embellished with sparkling bright apple green Russian demantoid garnets. 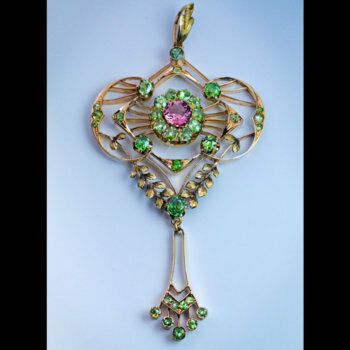 The pendant is marked with 56 zolotnik Imperial gold standard with initials ‘ИЛ’ for Moscow assay master Ivan Lebedkin (1899-1908) and maker’s initials. 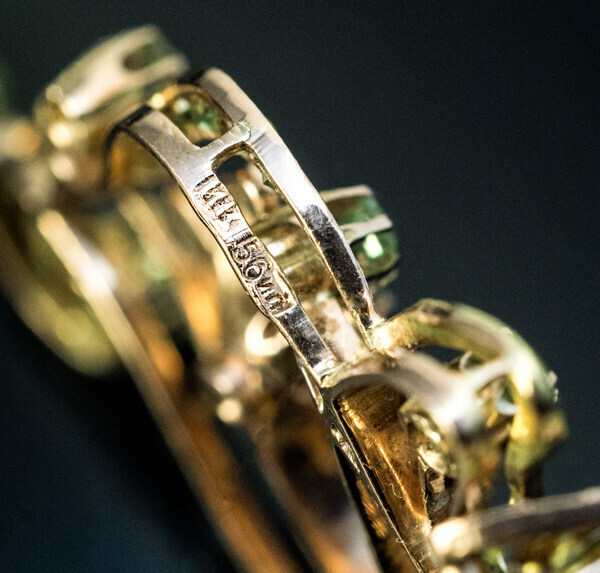 Marked on frame and on bail.